Home > Special Offers > Parts & Service > Our Tire Prices Will Not Be Beat! Our Tire Prices Will Not Be Beat! 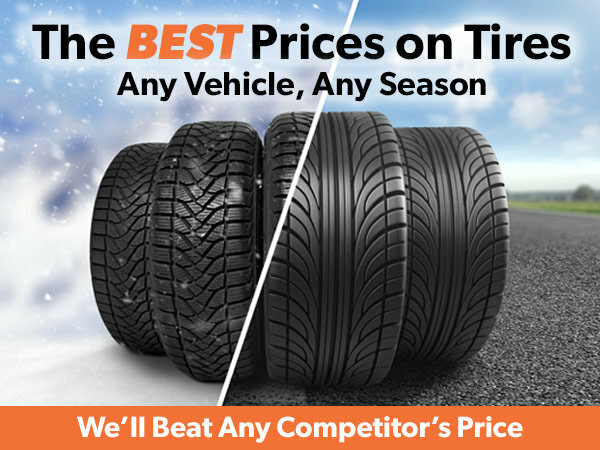 Bruce has the BEST deals on tires for any vehicle in any season! Order tires from the comfort of your home in 3 Easy Steps! We have tires for all makes and models. Our prices will not be beat - if you find a better price with one of our competitors, show us the ad and we'll beat it!